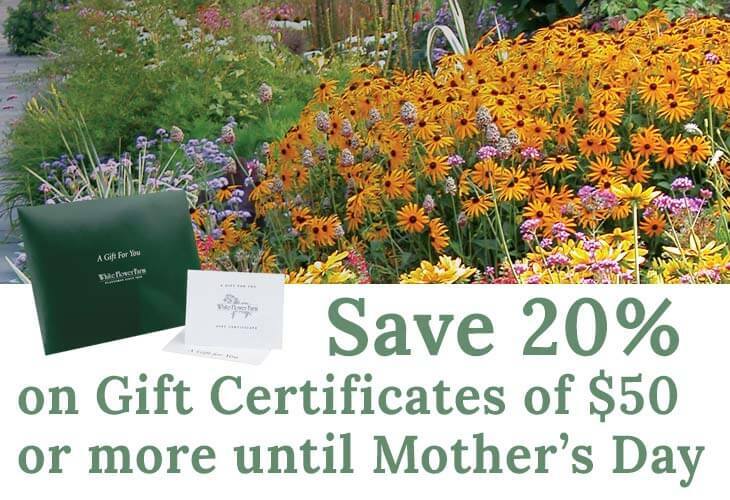 White Flower Farm is a family-owned nursery based in Northwest Connecticut. Since 1950, we've been growing a wide range of ornamental plant varieties, and delivering them to gardeners all over the country. Our mission is to help gardeners succeed by supplying top quality plant material, comprehensive cultural information, and superior customer service. Whether you are an experienced horticulturalist on the lookout for unusual cultivars, or a newcomer to gardening, we're here to help. 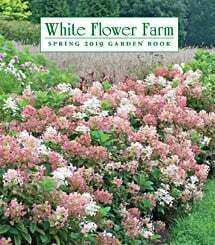 White Flower Farm's history dates back to the late 1930s when the company's founders William Harris and Jane Grant moved to Connecticut and promptly caught the gardening bug. Before long their shared hobby had evolved into a small business, and by the early '50s, White Flower Farm was regularly mailing catalogs and looked something like the company as it exists today. In the '50s, the American gardening market was a bit of a backwater, and Harris and Grant took it upon themselves to expose their customers to the latest hybrids from Europe, Japan, and elsewhere. Today, of course, gardeners are awash in information, and we understand our job to include both seeking out the best new introductions and making sure that time-tested varieties aren't lost in the marketing shuffle. One need look no further than Lilium speciosum rubrum, featured prominently in our Autumn 1951 catalog and still a customer favorite, to see that some things simply can't be improved upon. Jane Grant passed away in 1973, and Harris sold the company to its current owner, Eliot Wadsworth, in 1976. Our staff now numbers several dozen, most of whom are professional or amateur horticulturalists. We are as committed as Harris & Grant were to doing right by White Flower Farm's customers, to whom we are immensely grateful for their continued support and feedback.